AMMONNEWS _Veteran political activist Hakem Fayez was laid to rest in Um Al Amad on Saturday. The Baathist leader passed away on Friday, leaving behind four children: Fahed, who is president of the Gas Stations Owners Association, Zaid, Hind, a Central Badia deputy, and Ghadeer. As a leader in the Baath Party, Fayez lived in Damascus for several years, but was arrested by Syrian authorities when Hafez Assad deposed then-president Nureddin Al Atassi in a military coup. 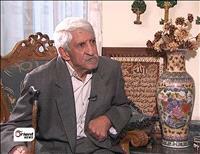 He remained in prison for more than 20 years, until the regime released him in 1993. Upon his return to Jordan, Hakem did not join the local Baath Party, but remained active politically, heading the Jordanian National Mobilisation Committee for Solidarity with Iraq.